The Sierra Library Services Platform offers an unprecedented combination of full-featured library workflows, integrated resource management, and open-systems architecture that makes the modern library possible. 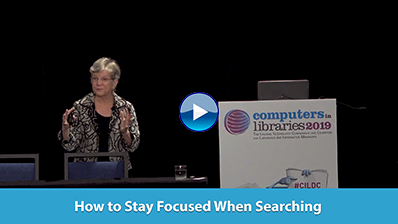 As academic libraries commit more of their budgets to digital resources and as students and faculty continue to arrive from a Google universe, single-box, Google-like discovery services have become more important. Content not retrievable through those user-friendly discovery routes may even become difficult to justify from a curricular standpoint. Librarians have become more vocal in urging library vendors to connect their content to whatever discovery system they have chosen. EBSCO Information Services, a leading supplier of aggregated content to libraries, has at last opened up its metadata and, if contractually possible, most of its full-text content to outside discovery services. ProQuest announced its acquisition of the U.K.-based Pi2, which provides information and literature management to biopharmaceutical companies. By aligning Pi2's systems with the Dialog service, ProQuest can create a single solution for pharmacovigilance and streamline the drug safety workflow. Gale, part of Cengage Learning, launched a new technology that links current newspaper, magazine, and journal articles with contextual references from within ebooks on Gale Virtual Reference Library (GVRL). This InterLink technology connects Gale's resources via document-level hyperlinking so researchers can find content without knowing a specific source. OCLC introduced the Art Discovery Group Catalogue to bring together information from global art libraries into a single, searchable database in WorldCat. WorldCat users can also search for art library items alongside additional online journals and databases. Learning a second language can be a challenge, especially for people who only need to get by on a business trip or family vacation—it's difficult to decide whether a standard translation dictionary will be enough or if online education is the way to go. Even people who want to become fluent in a new language may think twice about investing in expensive language-learning tools. That's where the library comes in. Want to review some articles from our library publications? Download the free May content sampler (PDF) of recent articles and an exclusive subscription offer.